Every now and then when I read a book, I get motivated to look up the food that's mentioned, especially when I've never heard it before, so when the words "Noodle Pudding" danced along the pages of Night Swim by Jessica Keener, I thought I might give it a whirl. It has egg noodles, cottage cheese, and... sugar? I initially expected a dessert of some sort, especially since it has Graham Cracker Crumbs as a topping. I'm not knowledgeable on the best cookbooks, so after I exhausted Google, I clicked on one option from allrecipes.com and thought it sounded simple and unique. And it was. I liked it a lot and I've never tasted anything quite like this! I found it was actually more suited to be a good side dish for a big family meal. I might make this for Thanksgiving this year. My husband loved it. He ate it as a side with chicken, and even warmed some up for breakfast. Here's the family recipe from agk1. Preheat oven to 350 degrees. Grease a large casserole dish. Cook egg noodles until al dente; drain. In a large bowl, blend together cottage cheese and cream cheese until smooth. Mix in sour cream, vanilla extract, sugar, and eggs. When noodles are done, drain, and return noodles to pot; set on cooled stove top. Stir 1/2 cup melted butter into noodles. Combine cheese mixture and noodles into bowl; blend well. Topping: Mix graham cracker crumbs, butter, and sugar. Sprinkle evenly over top of noodle mixture. Then, lower temperature to 325 degrees and continue baking for 45 minutes. Cool before cutting; serve warm. Weekend Cooking is a feature hosted by Beth Fish Reads and is an opportunity each week to share your food love. It is open to anyone who has a food-related post to share. Whether it's a recipe, a film about food, or a book, click here to visit her site and read about the feature. Don't forget to link up your food-related posts each week. A strange combination. I'll have to try this. I never would have thought to combine noodles with sour cream and sugar. It was fun to try something different! And it was good! It certainly sounds different. Did you like it? As an aside, I was looking at Joshilyn Jackson's tour dates and saw she's going to be at Prince Books and thought about you. It was different, but I liked it. And my husband absolutely loved it! Egads, at Prince Books? I will check it out, thanks for the heads up!! Very interesting. It looks like comfort food. :) The recipe looks very easy to cut in half, too. I may have to try that while it's still cold out. OMG. I'm pretty sure this would not be on my diet!!! It does seem as if it would be a dessert-type thing, but it sounds like it didn't taste like one. I need to try this, just to quench my curiosity. Great recipe today, Natalie! Cool! The first thing that came to mind was noodle kugel. I looked up a kugel recipe and it's pretty similar (except for the graham crackers). Good stuff! I immediately thought of Thanksgiving when reading the description -- not something I would want to try, but since you said it was tasty, I ought to be brave. My wife's family is from Penn Dutch country -- this seems like something they'd adore. How interesting! I'll have to try this one day. 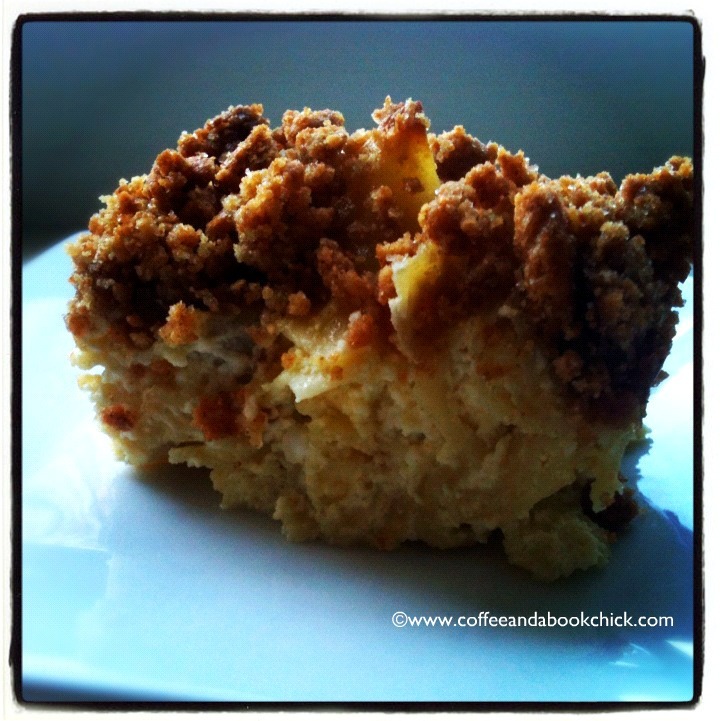 At first I was like, is this a casserole or a dessert? It certainly is intriguing, I'm curious to try it. Oh, my goodness. I can not believe you tried to make this. You are daring and wonderful. This dish, which I have never made, is something I grew up with. It was one of those Jewish Holiday foods. In fact, no one every served it up otherwise. So, now you have me wondering if I can make it and also wondering why I never tried! It's a food that combines sweetness like a dessert, yet it compliments a main dish. I'm so thrilled and flattered, really, that you chose to try this. Thank you! I'm off to spread the word. 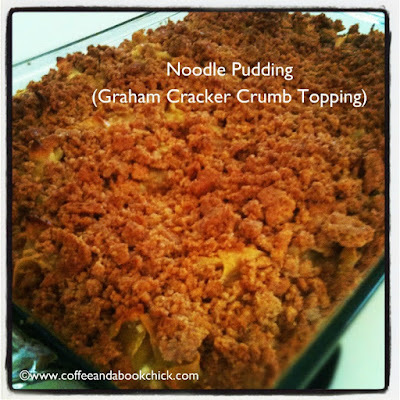 I have eaten my fair share of noodle pudding, but I've never had one with a graham cracker crust. I am going to save this recipe, thanks. I have been wanting to try a recipe such as this for a few years. I have printed this out and will give it a whirl next week. Thanks.